Paint a Dixie Cup in the color of your choice. The cup will be dad’s pants. Let the paint dry and then use a skewer or toothpick to poke a hole in the center of the cup. Adults may have to do this step to avoid injury. Curl a pipe cleaner around your finger. Keep each end of the pipe cleaner straight. Stick one end of the pipe cleaner into the hole in the cup. Curl the pipe cleaner end into a ball on the inside of the cup. Squeeze a generous amount of hot glue into the bottom of the cup around the balled up pipe cleaner. Set the cup aside to dry. Find a photo or print out a photo of dad where he is looking at the camera and some neck is showing. The head should be about the size of the small end of the cup. Cut around the head and neck and leave a little of the body so that you have a little extra surface to glue to. 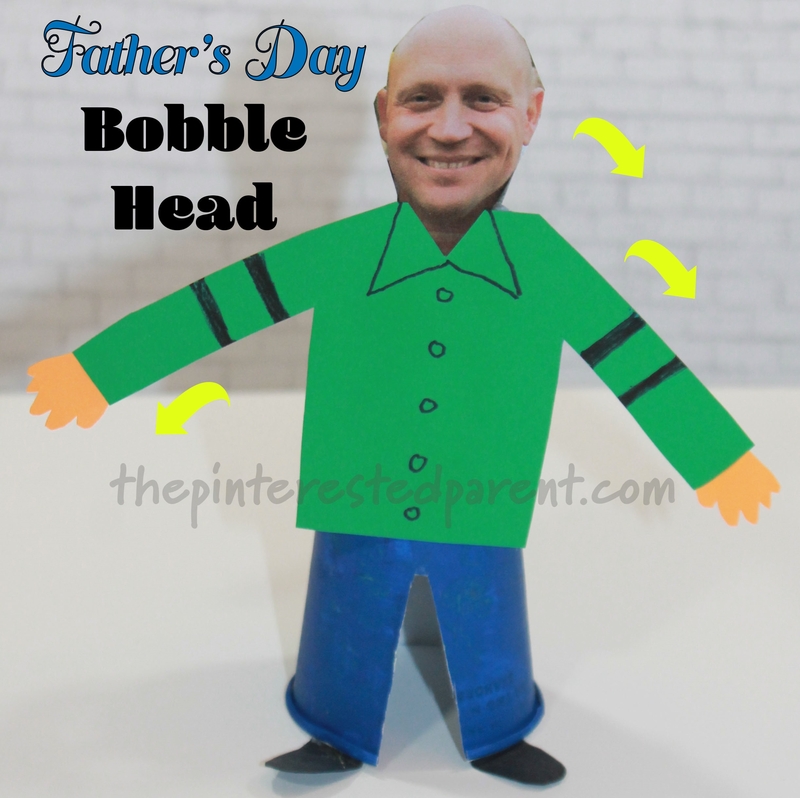 Put a piece of construction paper under the head and draw out a shirt around the head and then cut it out. Use markers or paint to decorate your shirt. Choose dad’s favorite color or design his shirt to look like his favorite shirt. Glue the shirt under his head. Cut two hands out of a flesh toned piece of construction paper. Flip dad over and then flip the cup on its side over it. 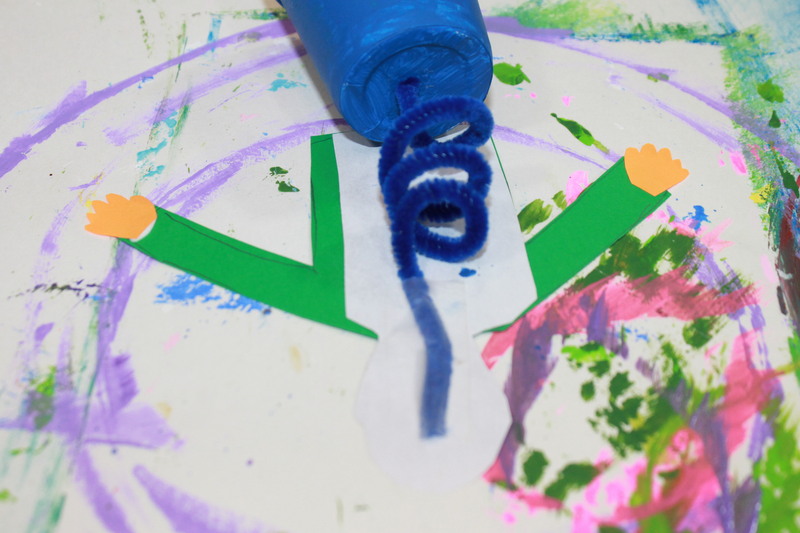 Use a piece of tape to tape the straight edge of the pipe cleaner to the back of the body and head. Cut an upside down “V”-shape out of the bottom of the cup. Cut two long oval shapes out of the construction paper color of your choice. These will be for the shoes. Fold one end on both of the shoes and put a dab of glue on the folded end. Press each shoe into the cup on the edge of the “V” and then fold the shoe so that it is flat with the cup when it is set down. Once the shoes are on, dad is ready to go. Give him a gentle shake and watch him go. Bobble, bobble, bobble! We hope you get a kick out of this craft as much as we do.